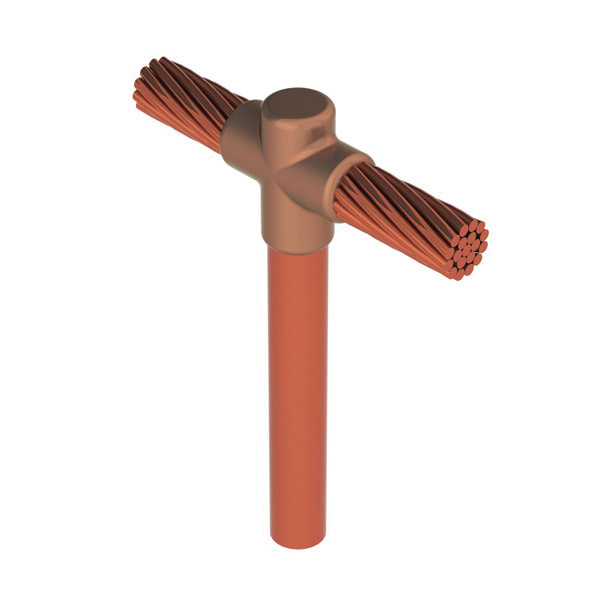 Erico Cadweld® Mold connector with 5/8-Inch Dia ground rod, accommodates 2/0-AWG concentric conductor and offers cable to ground rod or other rounds connection. It comes with L160 handle clamp and includes a copper bonded plain/threaded rod. This connector provides a permanent, low-resistance connection with visual inspection. It is great to use on GT series cable to ground rod connector. Mold connector is cULus listed.